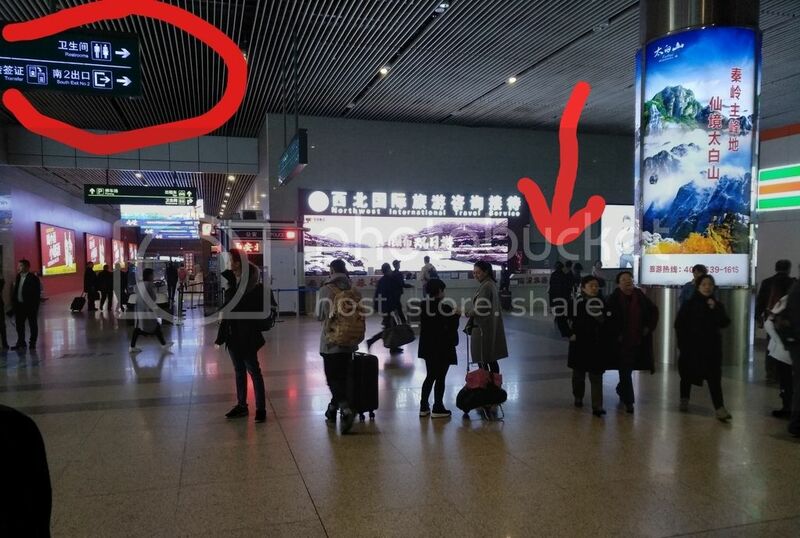 Once arrived at Xi'an Bei Railway station, make your way to South Exit No. 2. yes! if you look lost like us , there are alot of touters to try to ...offer their services and packages. 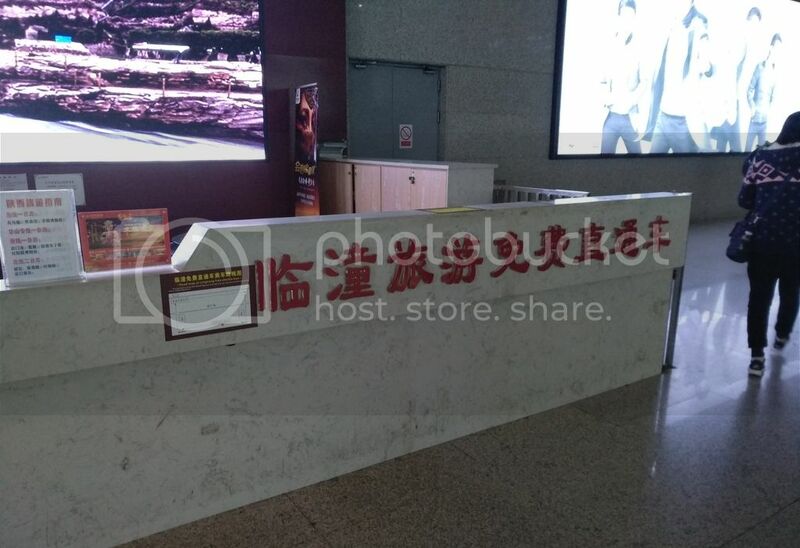 look for this counter near the South Exit No.2. ( see the red arrow in the above pic), approach the staff and tell them you want the free shuttle service. They might try to hard sell you to buy a tour package. (maybe they have commission) but you know the drill. 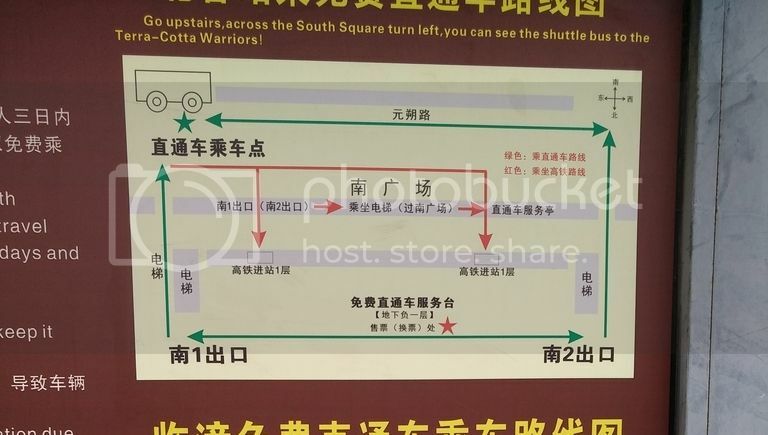 In order to enjoy the free shuttle service, you need to purchase the Terracotta Warrior entrance ticket. cost Adult Rmb 120 ~ SGD $24, Child/student<16yrs Rmb 60 ~ SGD$12 . (Notice the 2 punched holes? suppose to be 3 according to the chinese words in red. will explain later). Price may change during peak/off peak seasons. Last edited by xxxjorxxx; 15-12-2018 at 09:37 PM..
Free shuttle bus ticket. see arrow..valid for 3 days. 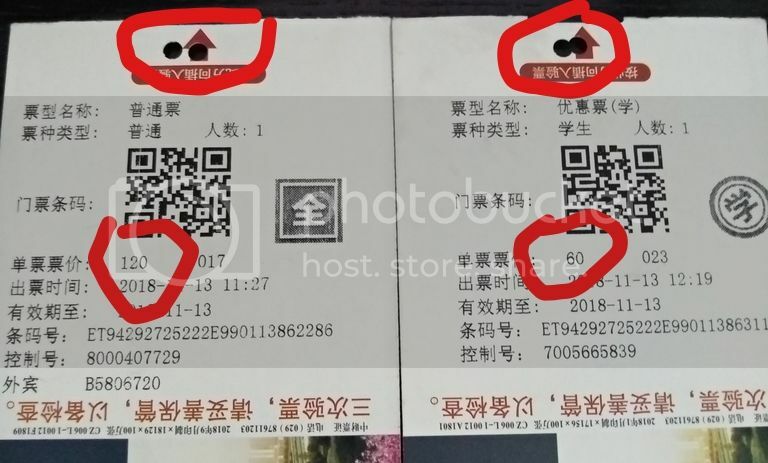 You need to show the bus ticket every time you board the bus,.if you lose the ticket.. please post instruction how you got back to Xian station. Might be helpful for the unlucky ones. The bus actually stop at 3 tourist location. the 2 others are Li Shan and HuaQing Pool. If you been there please FR here, thanks. That explain why the bus ticket is valid for 3 x days( can visit each site per day). Last edited by xxxjorxxx; 15-12-2018 at 10:40 PM..
depart Xian train station 8am - 4pm. Last edited by xxxjorxxx; 15-12-2018 at 10:41 PM..
Bro u stay which hotel? How to get hsr ticket if i fly direct? 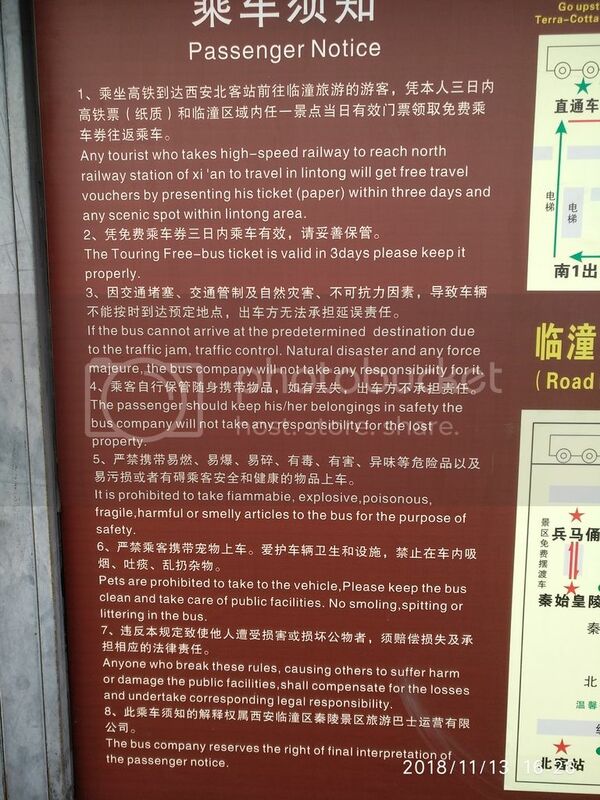 Why would you need/want the HSR ticket if you fly direct to Xian? 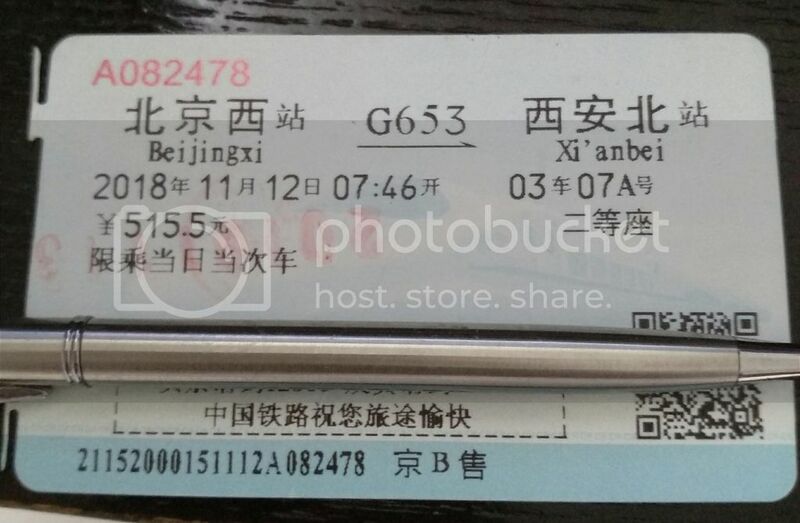 If you noticed, the HSR ticket from Beijing to Xian is RMB515.5 which is approx. S$100. The bus from Xian to the Terracotta Warriors is only RM25 one way. Any hotel recommended for Xi an? What is your budget? The Ibis inside the city wall was my choice. less than 200$ a night? was tinking airbnb for xi-an too. Alot of places to visit.. but then it can b confusing.